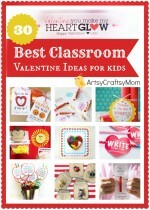 Thumbprint valentine’s kids crafts is one of our FAVORITE valentine craft to date. ..This “Valentine, You Have Left Your Mark on My Heart” Thumbprint Heart Bookmark is an easy craft perfect for school-age children. 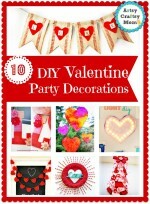 Parents will also adore this, since the hearts are made using the child’s thumbprint. 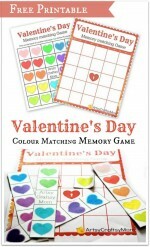 Make the Bookmark – Cut out a 5 inch x 2 inch rectangle from a patterned cardstock or plain white one. Stamp again onto paper .. this time slightly tilting right and making a heart shape. It is easier to move the bookmark sideways rather than trying to move the thumb sideways. 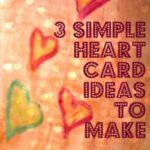 Make 3 hearts or more to cover the bookmark. We made them in two styles. One with a single color – Red . & the other with 3 colors – shaded. When dry , tie the ribbon and your thumbprint heart bookmark is ready. Its the simplest, easiest , cutest class gift ever! Isn’t that a fun homemade gift to give to friends? What do you think? Which version do you like better? Single shade or multi shaded? PS – this post was originally published on Jan 26, 2012. It is now edited with better instructions & new images. Hope you like it. Wow its such a creative creation. Love this. It is a nice creation. Thank you sudha, deepi & viji 🙂 Welcome here..